With the publication of a new novel, things do tend to go a bit wild — not only do you try to get the tome reviewed, but you also end up doing articles and interviews helter skelter at most hours, in between the day job and dealing with daily life with La Familia. For starters I did a silly article titled ‘The Lamest Sequential Art Rotter‘ for Thunderdome Magazine, which is basically a self-indulgent look at some of the god-awful villains in comic books (and movies)… and then deconstructs the action in the January 1942 Bulletman #3, with art by Mac Raboy (Flash Gordon) and Bob Rogers, though it’s unclear who wrote the script — possibly Otto Binder. I’ve been also liaising with my mates at Madman in Australia to do an overview of essential Japanese anime studio Production I.G (Ghost in the Shell), and you can check out that two-parter HERE. 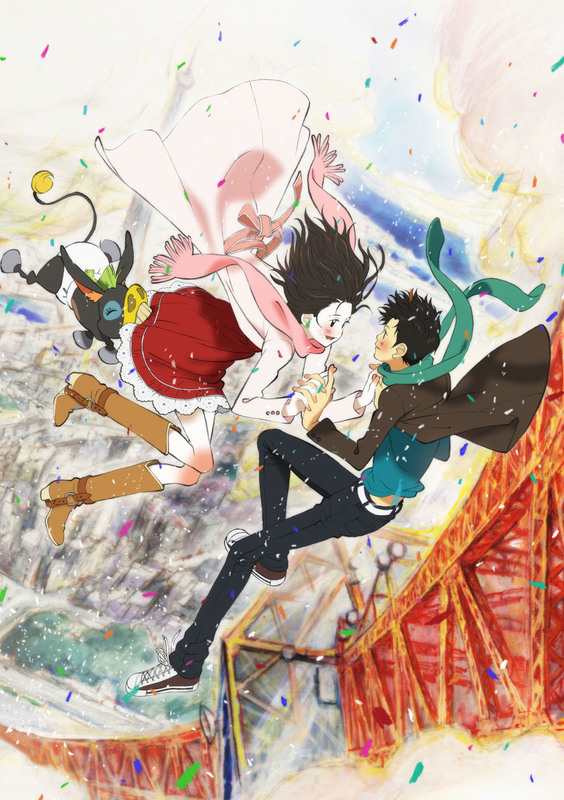 On top of this I got the chance to interview I.G. anime director Kenji Kamiyama (Ghost in the Shell: Stand Alone Complex, Eden of the East) and that yack is online @ Madman HERE. Hilariously, just over a week ago I also started my next novel — stupidity, I know, especially since Heropa hasn’t been ‘officially’ published yet. It comes out on Sept. 27th. Anyway, I’m 20,000 words into the new one, titled Planet Goth. Yeah, yeah… pretentious and short for me, and I have a Facebook page up and running. Yesterday I re-evaluated the plot so I’ll have to tweak those first 20,000 words (again!) and I’ve decided to change the narration from past to present tense. However, I did get to talk about he idea behind the plot in a story I did this week that was supposed to be about Heropa — if you’re curious, check out the diatribe at AlwaysUnmended. 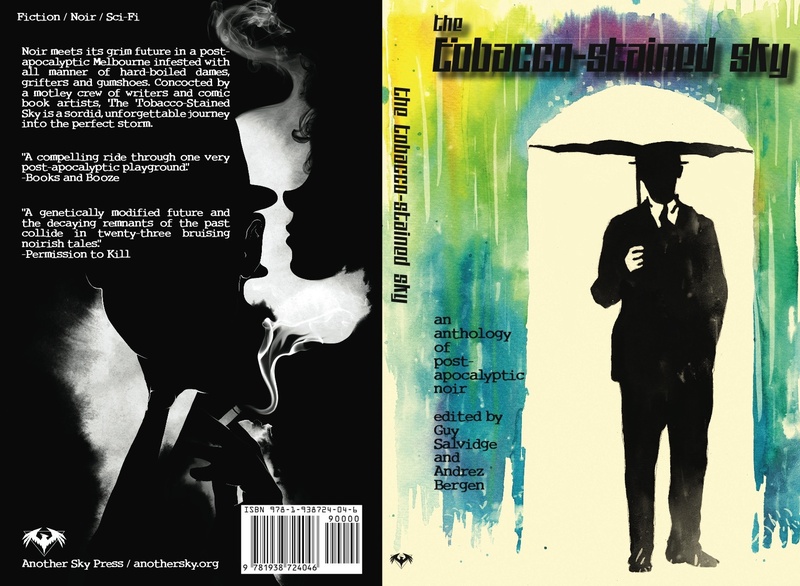 After over 18 months in the mix, fellow Aussie editor Guy Salvidge and I have finally published our anthology The Tobacco-Stained Sky, which is basically a collection of short stories and sequential art vignettes relating to the post-apocalyptic noir of Tobacco-Stained Mountain Goat, written and drawn by far more talented people. You can get it direct from Amazon, but ’tis far cheaper from publishers Another Sky Press — where the trade paperback is $5.46 + postage. Finally, Matt Kyme and I have our new comic book Tales to Admonish #1 coming out on October 5th—available in print (full-color, 25 pages) and a digital version. We have a website up for it now; just cluck on the title (above) to go there.